A wet morning in Aspen could not slow the Moffat County boys soccer team. The Bulldogs, all of a sudden as hot as any team on the Western Slope, continued to show improvement in a 5-0 victory against Aspen High School on Saturday. 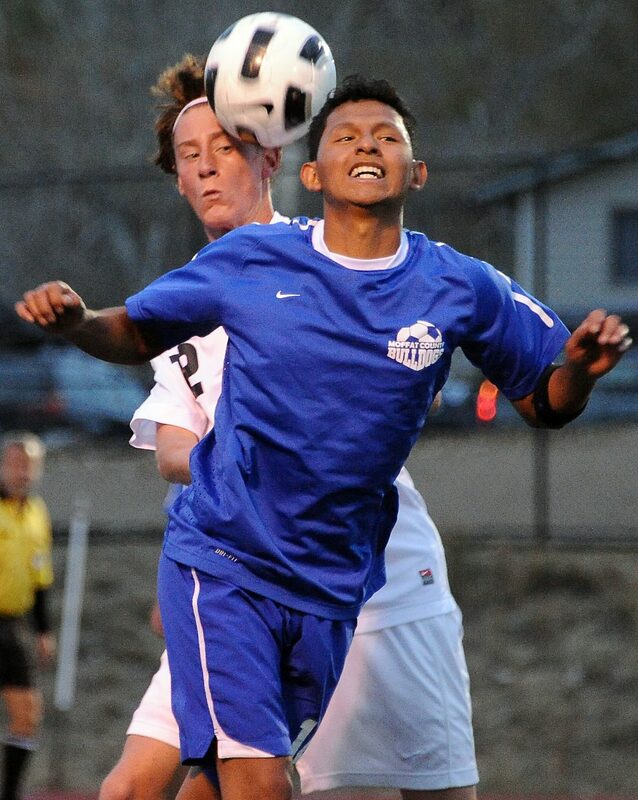 Alex Perez scored all five goals for Moffat County as he was continuously fed the ball up the field. Head coach Rusty Cox said the win was one that came because of strong passing and ball control on the wet field. On the turf field in Aspen, Cox said the ball was skipping around even faster. But it affected the Skiers more than it did the Bulldogs, who now enter their final week of the season with an outside shot to make the state playoffs. After starting the year 1-6, it looked like improved play from Moffat County in wins against Vail Mountain and Grand Valley would not mean much aside from giving the players pride in their effort. But now, Moffat County has won four its past five games, and is 5-7 with three games to play. Now the Bulldogs will close their season with three games this week at Loudy-Simpson Park. The first is Monday vs. Roaring Fork. On Tuesday, the Bulldogs take on Coal Ridge and then finish the season Thursday against Delta. Three wins and an 8-7 final record would put Moffat County in the conversation for an at-large bid in the 32-team Class 3A playoffs, but it won’t come easy. Coal Ridge is 11-1 on the season, best in the Western Slope League. Roaring Fork is second at 8-3-1. Moffat County lost to each team in away games earlier this season, including an 11-1 loss at Coal Ridge in the first game of the season. After that game, Cox said his team did not show up to play. Now, he wants his players to keep the same approach they’ve used the past few weeks.